The route, which will run twice daily, stops in Antwerp, Rotterdam, and Schiphol Airport before reaching Amsterdam. Currently, passengers wishing to travel to Amsterdam via Eurostar must first change at Brussels with a total journey time of at least five hours. The new London-Amsterdam route will shave an hour off this time and will be more convenient for individuals travelling between the two major business and tourist hubs. 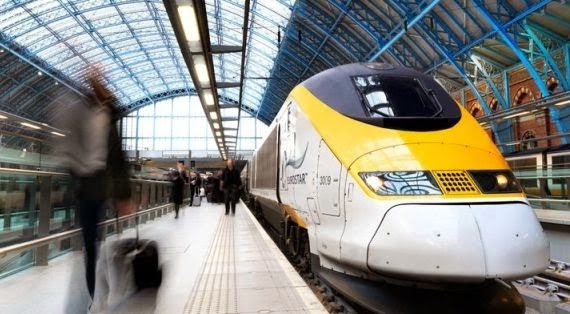 Eurostar has yet to announce the planned fares for the new route, but it is expected to be around £99 for a non-direct return ticket, which will allow Eurostar to compete with low cost airlines. Flight time between London and Amsterdam is approximately 1-hour, making Amsterdam a popular weekend destination for Londoners and vice versa. However, aside from the business-oriented London City Airport, neither city has an airport with convenient access to their city centres. London Gatwick and Heathrow Airports are both at least 30 minutes away from Central London, whilst Amsterdam Schiphol is 20 minutes from Amsterdam Central. The recently announced London-Amsterdam route should provide business travellers and tourists alike with a viable alternative to the current combined air travel and rail options as well as the current Eurostar route that requires a stop in Brussels.